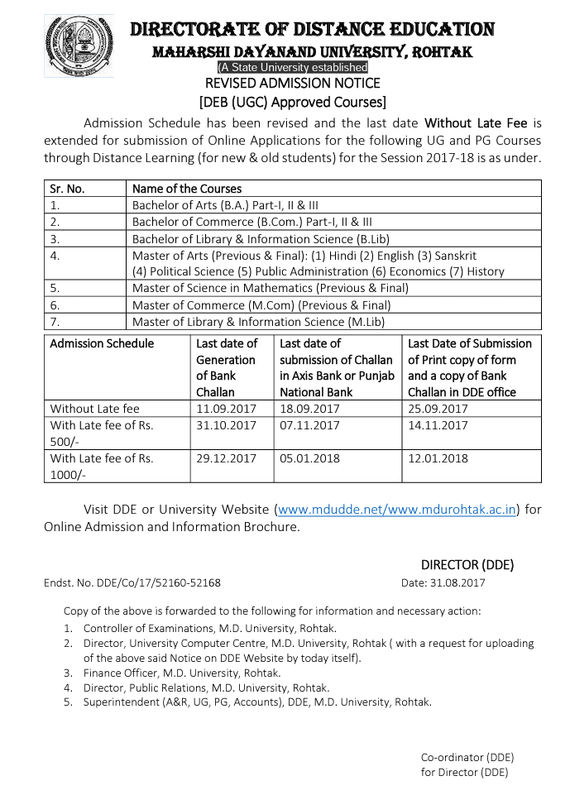 MDU ( Maharshi Dayanand University ) ,Rohtak Reappear / Fresher DDE Online Application Form for Apply Last Date without late fee is 11-09-2017. 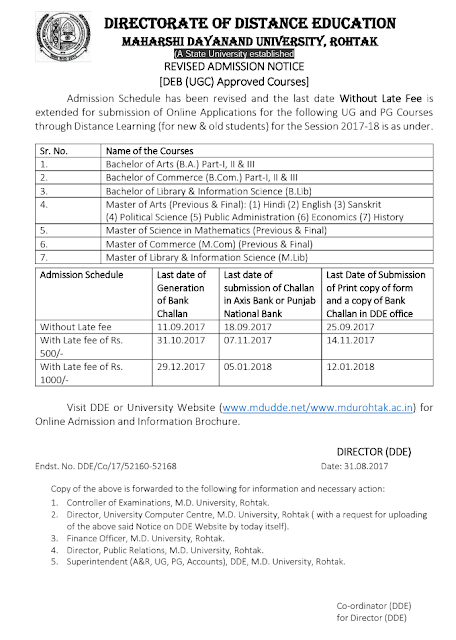 MDU Rohtak Admission Schedule has been revised and the last date Without Late Fee is extended for submission of Online Applications for the following UG and PG Courses through Distance Learning (for new & old students) for the Session 2017-18 is as under. Official website:- www.mdudde.net/ www.mdurohtak.ac.in) .